Let’s not beat around the bush, change is hard. And it’s different for every one of us so one size doesn’t fit all. I support the delivery of complex change programmes, working with change leaders and teams to help them help them get clear and understand what the future is going to look like. What change is needed and how will you get there? What’s different for the organisation overall? What’s different for customers, and for you and your teams? I help leadership teams get aligned, paint the picture of the future and articulate their vision, clearly. I support them in getting and staying aligned with the vision of the change, helping people to stay on track, particularly during long-lasting programmes. Coaching for leaders of change. The space to work through the challenges, with the focus on getting the best from yourself and your team, whatever the situation. Getting the business ready for the change. 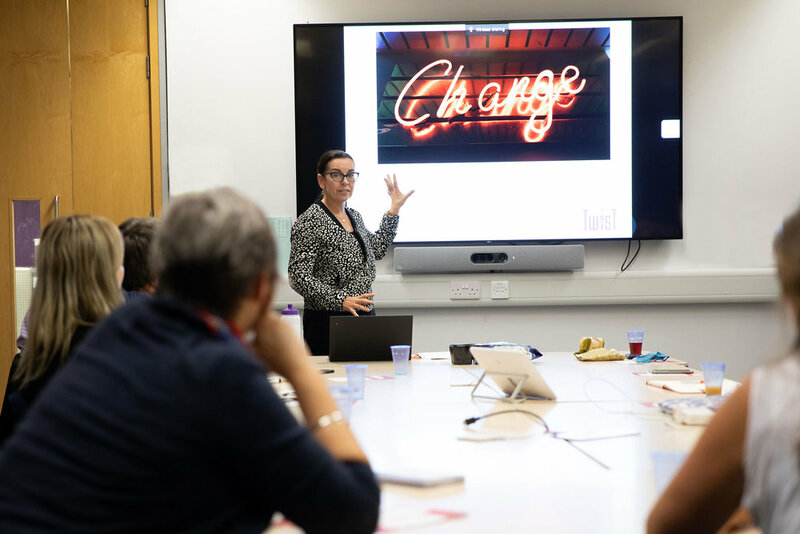 Where change has been identified, helping to understand the business impact and what the change will look like as well as planning how they will get there. Through a workshop approach, I help teams work together to agree their approach, who’s doing what and how they will make it happen. Where do you need help? Let’s talk. If you’re embarking on change; if you’re an organisation that wants to communicate and engage better with your people, or a consultancy or agency that needs change, communication, engagement or coaching support for your clients, let’s talk.